Touji, meaning ‘winter’s arrival’, simply by the meaning of kanjiW. We also use the same kanji and pronunciation for the very day of Winter solsticeW (22nd Decemeber in 2013) which was given name to the same fourtnight term of the year habitually by the Japanese generations. The day of ‘the shortest day and the longest night’ of the year, Touji, differs astronomically to the exact day which we resemble as ‘Touji’ = the winter solstice. Still, the very day of Touji is thought to be the day with ‘shortest day and longest night’ for the Japanese which has been thought that the term’s negative principle is at its peak, which will recover to the positive principle from the very day. We have a phrase which came from I ChingW of China, “Ichiyo-raifuku“, expressing the term and telling us that ‘the extreme negative qiW will be followed by reviving positive qi’, telling us that – “It’s always darkest before the dawn”. In the ancient days, Touji was the start of the New Year. 2013 is almost over in Japan. We have been busy cleaning our houses and shopping, preparing for the New Year god, ‘ToshigamiW’s arrival. Many Japanese would be watching the same TV, NHK’s ‘Kōhaku Uta GassenW’, an annual music TV show tonight in their houses (of course there are many watching different TV programs too) with their families and relatives. If they are not drunk or fit enough to go out in the cold weather right after the TV program (as it ends around just before midnight), they would go to the nearest famous shrines or temples for HatsumoudeW, the first visit to shrines or temples to make wishes for the New Year. Those who can’t be bothered to go out in the cold weather at night would go on Hatsumoude in the daytime on the very first day of the New Year to 3rd January as they are usually off from work. 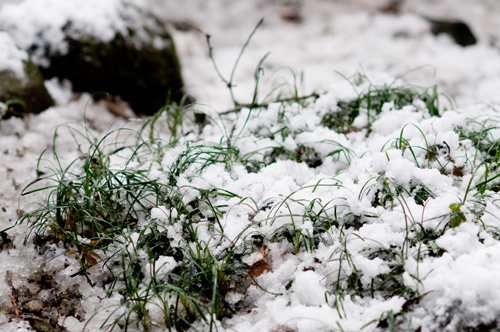 Wnat to believe that plants are sprouting under the snow in this cold weather…. The very last season of this year is on wheat under the layer of snow. The first word, ‘Sekka’, means under the snow. Simple. The next following word, ‘mugiwo’, means with wheat. The last verb, ‘idasu’, means to bring out. So, the whole phrase simply says that under the snow, the wheat starts to sprout. Again, a nature scenery reminds us of Spring though it is still covered with snow. 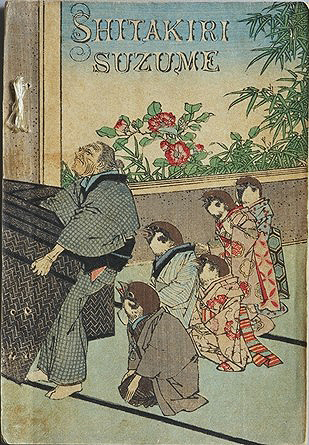 Cover of ‘Shitakiri suzume’, exported to Western coutries in 19th Century, right after the opening of Japan. Photo from Yushodo Co., Ltd. Official Site. 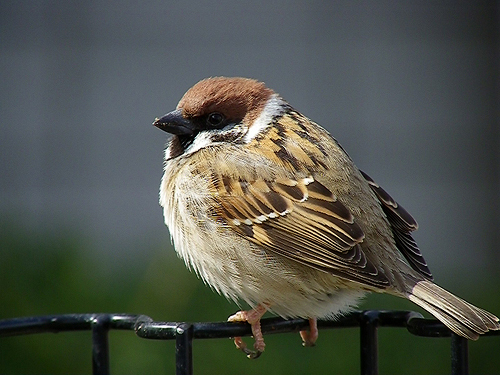 Sparrows are found almost everywhere in Japan throughout the season. It is a typical synanthropeW species in Japan and seems as though it has no actual season related to it but as it is so familiar to the Japanese, it appears in many artistic works. 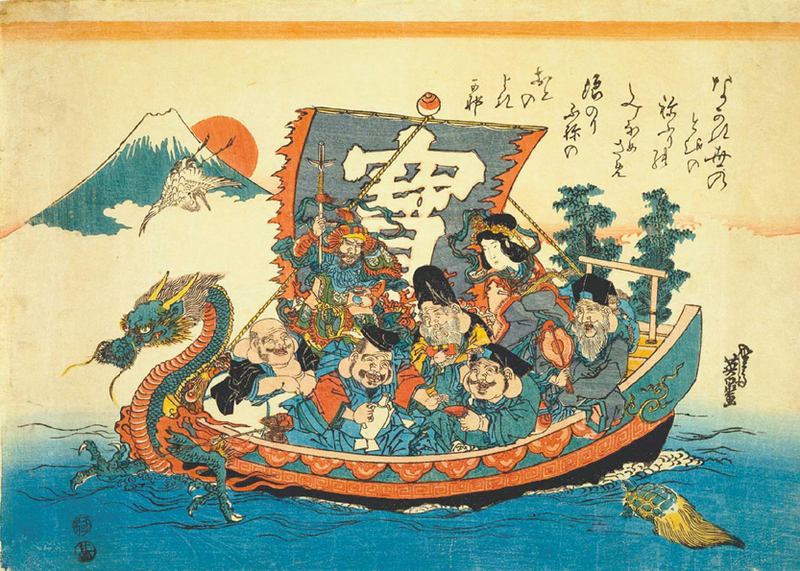 Among them is the famous fairy tale called ‘Shita-kiri suzumeW’, a story of a sparrow and a kind old man who saved the poor sparrow and was invited to the sparrow land in the forest of bamboos. You can find many Japanese paintings and prints on this tiny little brown bird. They are not attractive in colour but are so cute and seem to be hard working, which attracted many Japanese in the past, overlapping themselves onto the tiny sparrows. ‘Fukura suzume’ is also a seasonal word around this time of the season meaning ‘ruffling sparrow’. Ruffled sparrow in cold weather. The ‘First sparrow’ is a phrase used on the New Year day that expresses the constant first peace day of the year and a good luck symbol. The word points out either their figure or chirping seen and heard on the New Year. Unlike the word itself, ‘Hatsuyume’ is a dream that you see on either the 1st to 2nd January night or 2nd to 3rd January night. It is a New Year custom in Japan that many people are keen on because what they dream on the night were thought to become true. under their pillow when going to sleep on the very night to see a good, lucky dream. Even if you dreamed something bad, it was believed that if you had the picture with the palindrome, you could change your bad luck to good by flushing the picture in the river next morning. We have put up a picture for you to print out and put it under your pillow, so why don’t you try it? A picture of ‘Takarabune’ with ‘SHichifukujin’ for you to put it under your pillow on the New Year’s night. Click picture to get lager size! 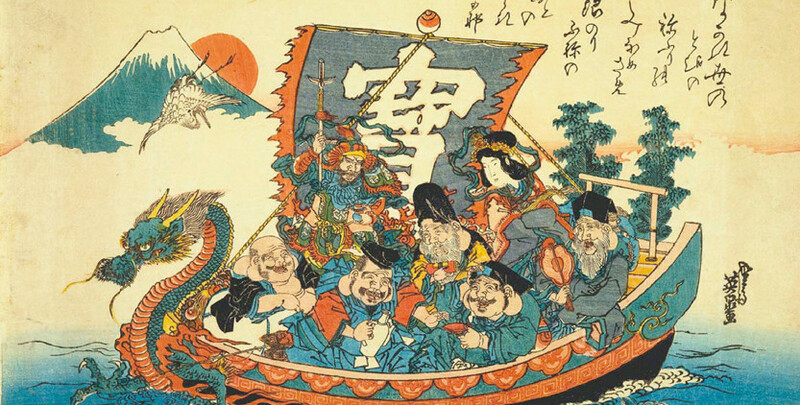 The things which you ought to see in your Hatsuyume for your good luck were first listed in Edo periodW. ‘San nasubi’ – Thrid, the eggplant. 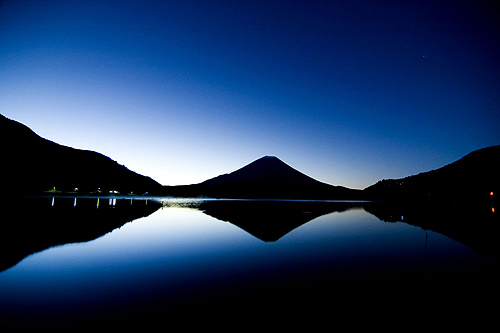 Mount Fuji at dawn. The best dream ever? The three were, and still thought to be lucky because, Mt. 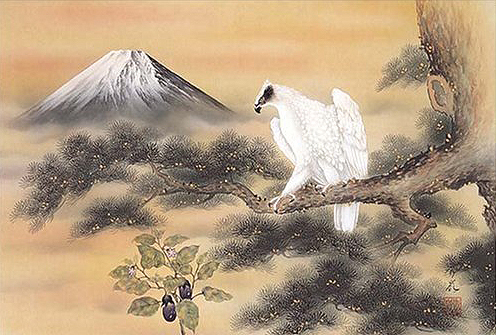 Fuji is the most highest mountain in Japan, the hawk has a sharp eye which lead to seeing through the future and the eggplant, in Japanese is called ‘nasu’, has the same pronunciation as the verb, ‘to achieve’. Apart from the above, the most famous, there are other varieties of good luck things list on dreams that you see on New Year’s night. 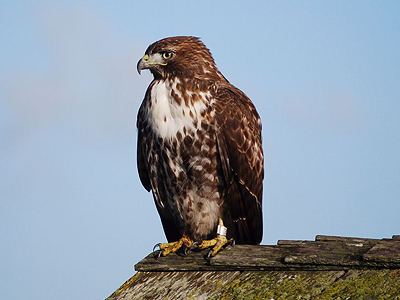 Sencond best, dreaming on ‘hawk’. 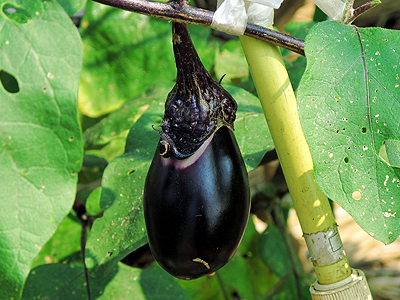 Should we dream about farming when we want to dream about ‘eggplant’? We have been trying to see any of the listed things to see on our New Year’s night for many years but have never seen them…. We hope we could this time! A Japanese painting on lucky Mt. Fuji, a hawk and eggplants. Jigsaw sold at Amazon Japan.